This ip camera sd card can work with RF433 sensors (door sensor, smoke detector, PIR sensor, gas leak detector.) Alarm push notification (message+video+sound). 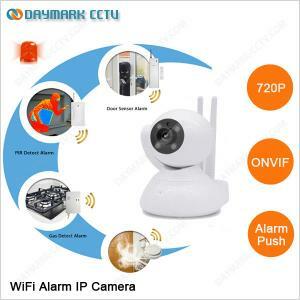 How does IP camera sd card work? What does this IP camera sd card can help you? Wireless camera, easy to set up - which help to monitor and protect your home, family and property. Shop Now! Building a business is a hard work, but watching over it is a peace of cake now. Shop Now!